Could Unemployment Cuts Cause Bankruptcy Surge? North Carolina needs some good news when it comes to unemployment, but it doesn’t seem like that’s forthcoming. February unemployment numbers show that North Carolina continues to be one of the states most plagued by unemployment across the country. This terrible trend is driving bankruptcy and home foreclosures here and across the country. California has the worst unemployment rate at 9.6%, but our fair state is not far behind at 9.4% and it’s been that high since this time last year. Experts expect this trend to continue largely unchanged. That’s bad enough, but now that the Governor has signed a bill to cut unemployment benefits, those in our state that are jobless and struggling financially may completely lose their fiscal footing. The law Governor McRory signed a few weeks ago has been harshly criticized by the National Employment Law Project (NELP) with good reason. 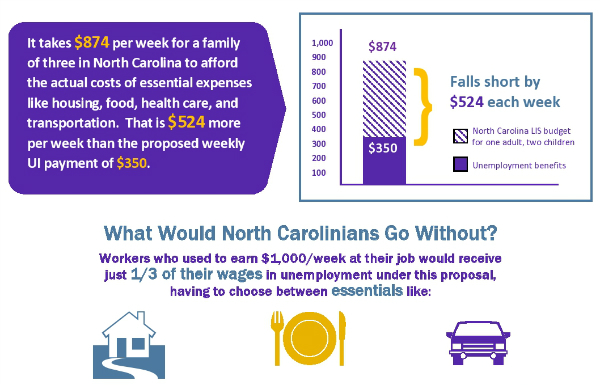 NELP released a statement saying the bill will drive “the most severe cuts to both state and federal unemployment insurance of any state in the nation.” McRory’s signature on the bill will shortly have devastating results for the 400,000 unemployed North Carolinians and their families. What he and the other lawmakers – and our Governor – are implying is that the unemployed are riding this benefit intentionally and are deliberately opting for the dole over job-seeking activities. What’s more likely to result from these harsh cuts is an increase in home foreclosures, bankruptcy and people going without food and having their utilities cut off. 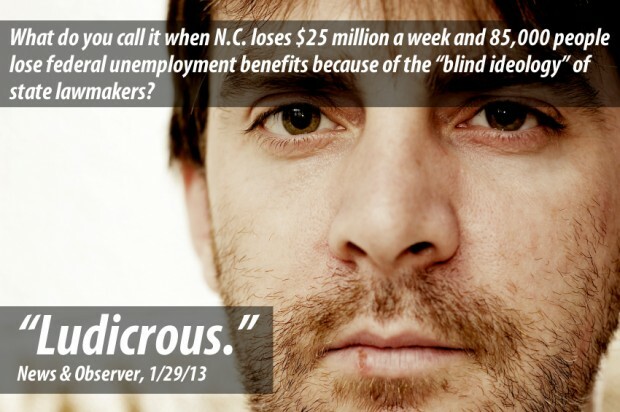 How are jobless North Carolinians supposed to exist under these conditions? I wrote this week that the proposed increases to sales taxes do not bode well for those already struggling financially in our state, particularly when layered with the unemployment cuts. Earlier today, I read an article that says we may be living in a culture of fear – moreso than past generations – due to advertising, news media, politics and other factors. I agree that sometimes we can be alarmist as a society, but in this case, there’s hard proof that we should be alarmed – and perhaps a little fearful - of the fallout of this legislation! If you are unemployed, underemployed or simply not earning enough to cope with your debts, a Chapter 13 bankruptcy may help you regain your financial footing or a Chapter 7 can offer a clean debt slate that many need. Contact a reputable North Carolina bankruptcy attorney to find out more.